General insurers support the Government’s decision to set up a tribunal to help resolve outstanding 2010/11 Canterbury Earthquake claims - in principle. The Government has announced it will launch a tribunal to “resolve unsettled residential insurance disputes” that claimants have with their private insurers or the Earthquake Commission (EQC). The Minister for Courts, Andrew Little, says the tribunal will “provide an active, individually case-managed resolution process for claimants and their insurers, as well as mediation services”. As at February 1, EQC ‘dwelling’ claims related to 103 properties were yet to be settled. Meanwhile land damage claims related to 415 properties were still unsettled. As for private insurers, claims related to 2,316 properties (8%) were unsettled as at the end of March. Insurance Council of New Zealand CEO, Tim Grafton says the industry body “supports initiatives that will resolve outstanding Canterbury claims efficiently”. 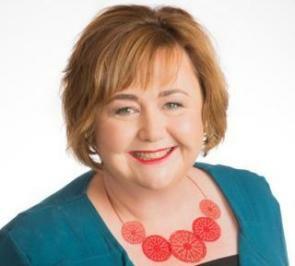 “The Tribunal will help people look to the future with confidence and hope, instead of being trapped in limbo with their lives on hold because of a claim that keeps dragging on,” the Minister Responsible for EQC Megan Woods says. “[As announced in February] we are also funding a public inquiry into the performance of EQC during these earthquakes. Any introduction that might assist and accelerate resolution of a multitude of outstanding claims is of course welcome. Especially and significantly for homeowners and their families that have been stranded in no mans land for far far too long. The new government and minister is to be applauded accordingly. The membership and powers of the tribunal though will be critical with regard to its effectiveness. This will mean that discovery of all reports and records, from each side of the claim, will be vital. It will also be requisite that any evidence uncovered such as malfeasance, fraud or outright wrongdoing, is then made available to the enquiry into EQC that is to be separately undertaken.